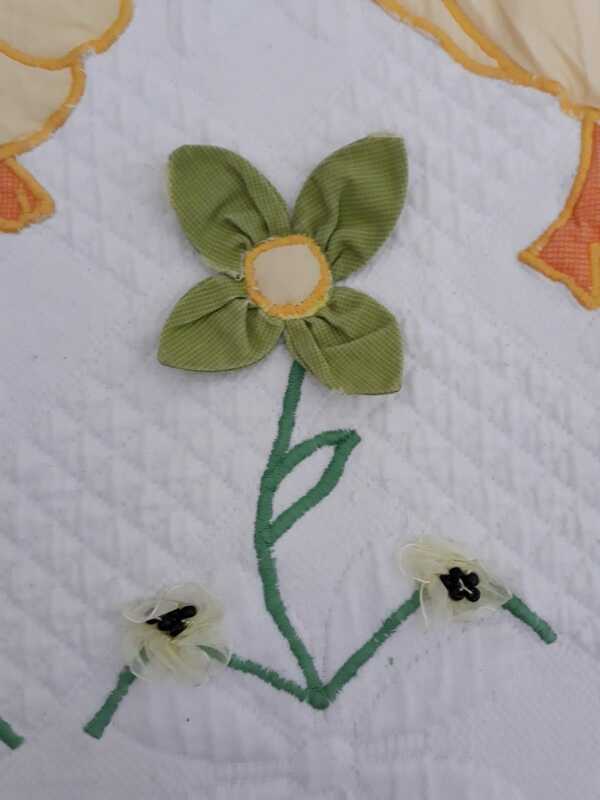 Baby quilts are adorable, as cute as possible, quick to finish and perfect as gifts. 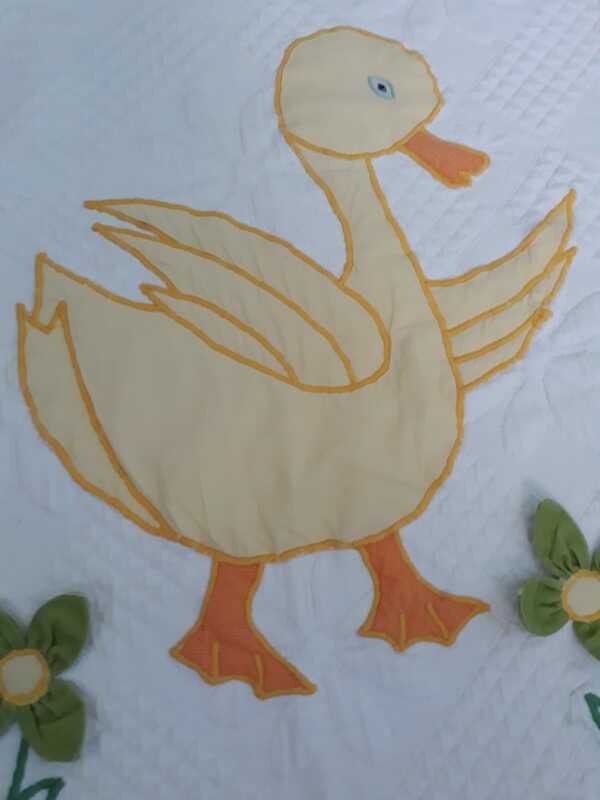 This quilt is suitable for baby boys and toddlers. 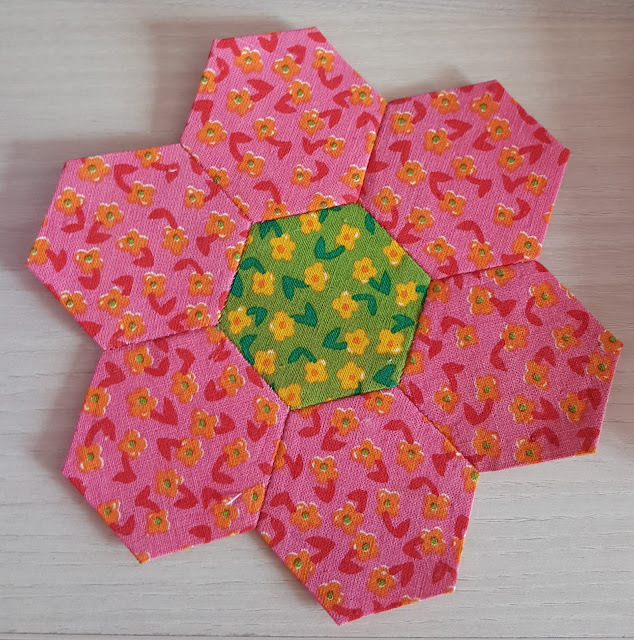 It measures 50" x 40" (100 x 125 cm). 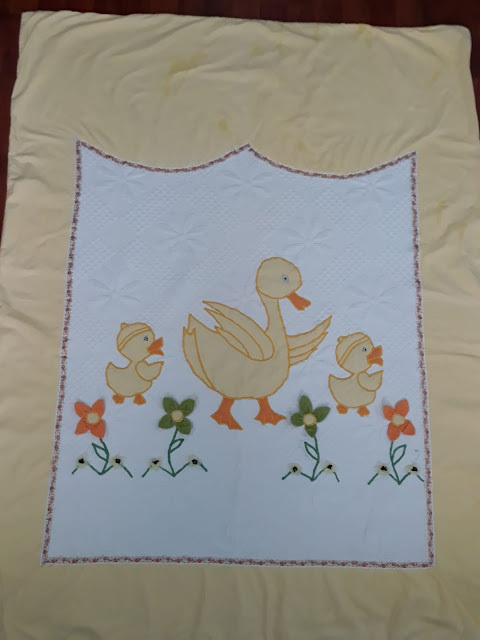 I machine appliqued the three ducks, one mother and two ducklings. I used yellow and orange for the ducks. 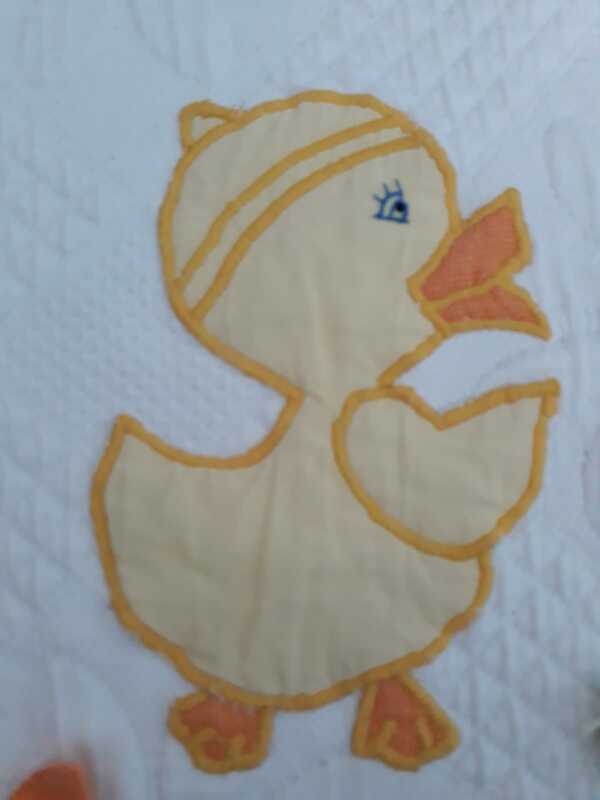 Below are the detailed pictures of the ducks. I also added some flowers around the ducks. They are orange and yellow and can be felt by hand. They are also machine appliqued. 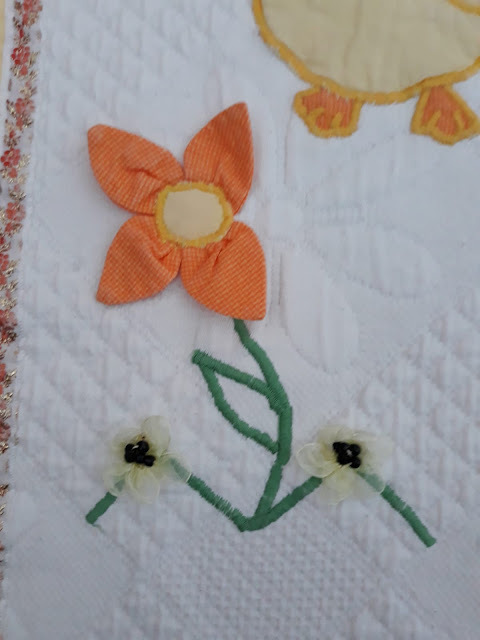 The white parts are quilted but I left the border unquilted so that it is fluffy. I mostly prefer using animal patterns with baby quilts since they are so cute. 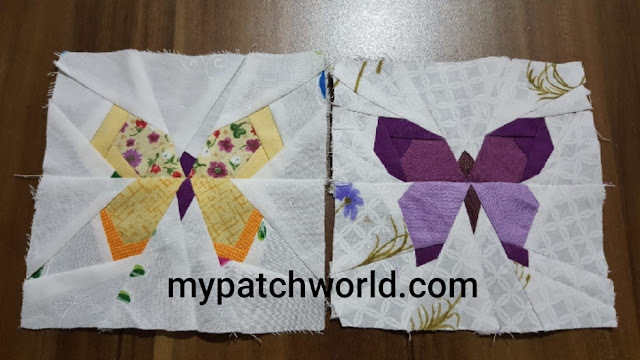 I enjoyed making this quilt and hope you enjoy it, too.